Like many of you, I have used “Future” acrylic for some time. And like you, I have sometimes been bewildered by the frequent name changes of this product. I recently saw on one of the modeling sites the latest iteration of “Future”; it is now called “Pledge revive it”. Previous to “Pledge revive it”, the product was named “Pledge Floor Care Finish”. 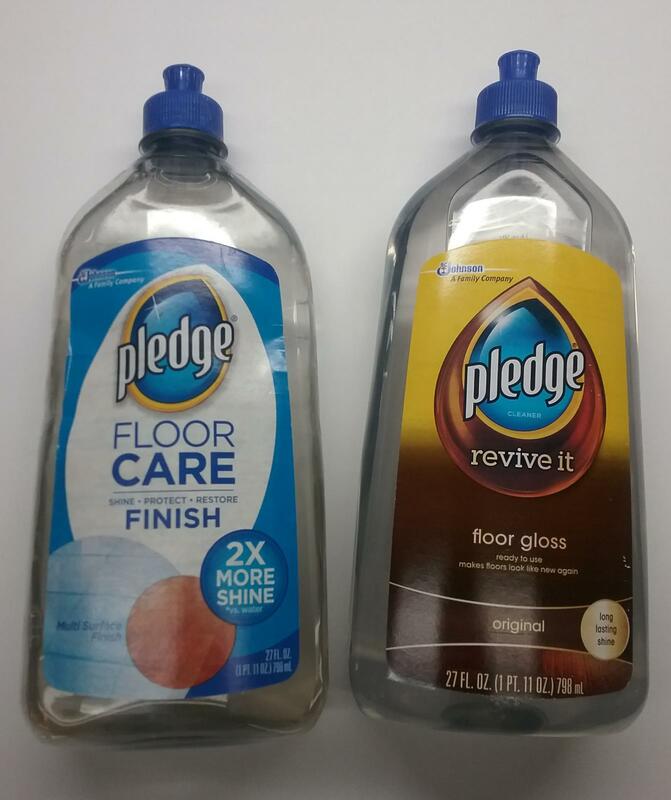 “Future” (no longer available) was replaced by “Pledge Floor Care Finish” in 2014, and now, the name has changed again: it is now “Pledge revive it”. As can be seen in the accompanying pic, the new product comes in the same 27 oz. plastic bottle, only the label has changed. 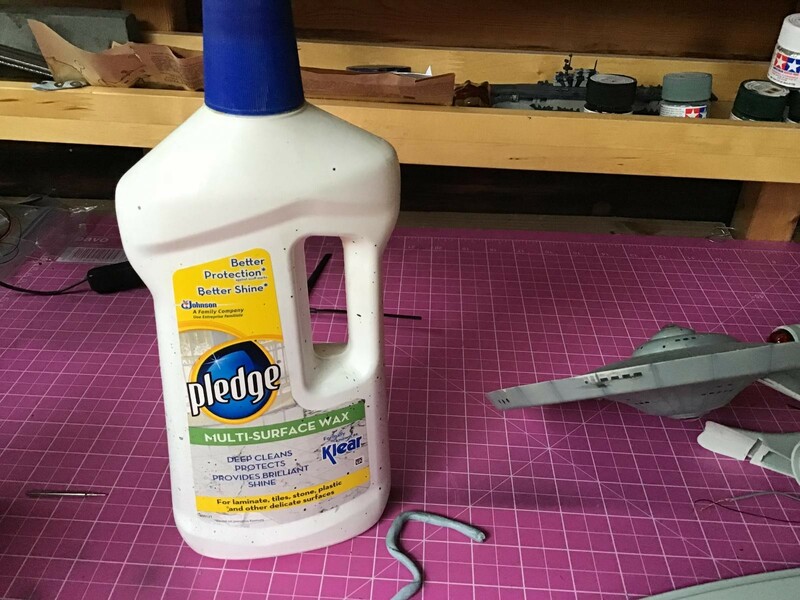 I bought a bottle of the “new” Pledge (on Amazon) and did an unsientific test to see if the new stuff works the same as the old product…it works exactly like the old “Pledge Floor Care Finish” and the original “Future”. An inspection of the label shows the exact same ingredients as the previous products, and the label even uses the exact same language to describe the product. I dipped a canopy, and also hand-brushed some of the new stuff to check on how it works…it works exactly the same. There is a slight different in the smell of the product (you all know the smell, I’m sure), but the results of the dipping and brushing are the same as the older stuff. I have not had a chance to spray any of the new stuff from my airbrush, but I am certain it will spray the same. There you have it…”Future” is still with us, but with a new name. Not to worry…it works the same as old. I’ve never been a fan of Future but I know more than a few modelers that will lose their minds the day they stop making it. Fortunately for them, Johnson & Johnson never discovered it had an alternative application. They’d have put it in 2oz bottles and sold it for six bucks a pop. Marvin, thanks for the heads up. I use to tell everybody to make sure to buy the Pledge with the blue rubber boots displayed on the label (Pledge ultra floor car). I basically only used it on clear parts, but now that those B&%[email protected]$ds at Testors (I hope they see this) have screwed up/ discontinued there model master FS enamel line, I’ve been forced (kicking and screaming) into the acrylic world, I may have to rethink using Pledge for my gloss cotes. Again, thanks for the info ! You are welcome, Terry…I’m glad the info helps. I just wish SC Johnson would quit messing with their product names. Acrylics are sooooo much better than crappy enamels. You aren’t killing yourself using them, CINCHome isn’t chasing you around the house with a rolling pin over the “stench,” you’re aren’t twiddling your thumbs for three days while that c r a p cures. I left oil-base enamels behind back in 1990. Every model I have displayed here is painted with acrylics. What’s not to like? Buy several bottles and then put them in a box and store them in a nice dark closet. They’ll last forever. While I would love to use acrylics, I have never been able to get a good mix of thinner and paint with acrylics. I have made use of Tamiya acrylic because I like the non-yellowing white they produce- but have only applied it with a brush in wheel wells or jet intakes. I cannot mix it correctly with thinner to spray an aircraft and achieve an even gloss finish (like the undersides of VietNam era jets, or WW2 USN tri-colour schemes.) I have a 1/48 “Casper” Blue Angels TA-4J waiting for paint, but I refuse to spray until I can guarantee a gloss sprayed Tamiya acrylic finish. I also can never get Tamiya Clear Gloss to spray gloss- drives me nuts. On the other hand, I NEVER have had any issue with testors enamels, in terms of the thinner/paint mix- I only ever use mineral spirits to thin- no issue with a smooth finish. Only issue with Testors enamels I have ever had is that the white eventually yellows. Has any one ever used this on a floor ?? I have. It’s really good on faux wood. Tell your visitors you live “Japanese style” and they should leave their shoes on the front porch. Don‘t you guys have problems with Future leaving awful spiderweb cracks when drying? It did this to me once and I stopped using it for good. That’s a very useful piece on info, Marvin, I have an orginal bottle of Future that’s about used up and I was thinking about the replacement. There are in fact several acrylic floor sealers out there, some are clear in the bottle and dry clear, others milky looking in the bottle (opaque plastic that is), but also dry clear. Another product to consider is a polish rather than a dip. Meguairs Scratch X20, Fine Scratch and Blemish Remover, is very good. A bottle lasts forever. You’re simply bringing out the deep shine of transparent parts rather than ‘applying shine’ as a finished coating. Clearly the Moody Blues had no idea what they started! David: Someone got the pun…finally! Very important information if you are looking for this product. As a tip for working with Future, try to use 50 % future and 50 % isoprophylalcohol. This breaks the tension and prevents cracking. I got this tip from a Master Modeler 1/32 models in The Netherlands.